Although chocolate's sweet, pleasant taste may put a smile on your face, there are some disadvantages associated with eating this rich food. 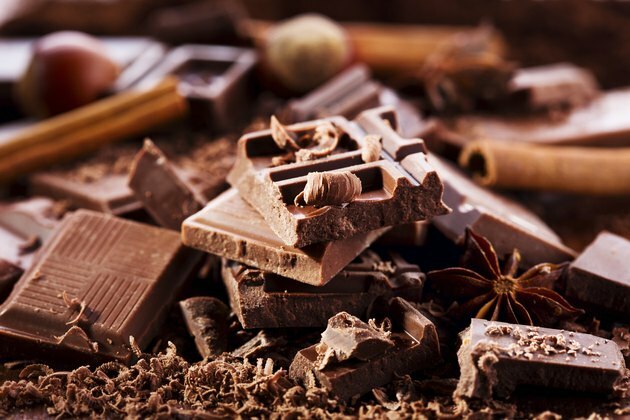 While you can eat any food in moderation, chocolate provides few nutritional benefits and has several nutritional disadvantages that may make it a poor choice for your diet. Nutritional properties may vary between brands, so check product labels when available. Chocolate is calorie-dense. A 1.55-ounce bar of milk chocolate contains 235 calories. This amount is more than many other snack foods provide. For example, a 1.55-ounce serving of beef jerky provides 124 calories. Consuming too many high-calorie foods can lead to obesity. While you can burn calories through exercise, doing so with chocolate would be time consuming. It would take 57 minutes of weightlifting or 43 minutes of water aerobics to burn 210 calories. The same serving of a dark chocolate bar contains 263 calories, but dark chocolate contains plant compounds that are beneficial to your health, according to a 2012 issue of the "International Journal of Hypertension." Even though dark chocolate contains healthy compounds, it is still high in calories and counts towards your overall calorie intake. 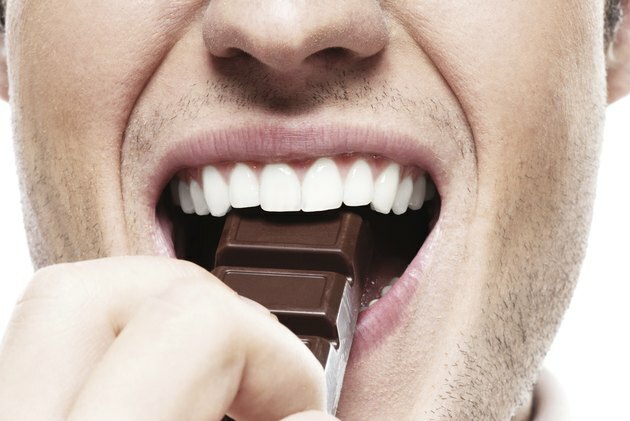 Among disadvantages of eating chocolate is it is not only high in total fat, but high in saturated fat. Each 1.55-ounce serving of chocolate contains 8.14 grams of saturated fat, a type of fat that may increase your risk of heart disease. Saturated fat can increase your levels of "bad" LDL cholesterol. To reduce your risk of heart disease, the American Heart Association suggests a daily limit of 16 grams or less of saturated fat. Chocolate provides half of this amount in each 1.55-ounce serving. The same serving of dark chocolate contains 10.8 grams of saturated fat, but Harvard Medical School explains that the fats in dark chocolate come from the cocoa butter and do not raise cholesterol levels, unlike the fats in milk chocolate that are primarily milk-fats. 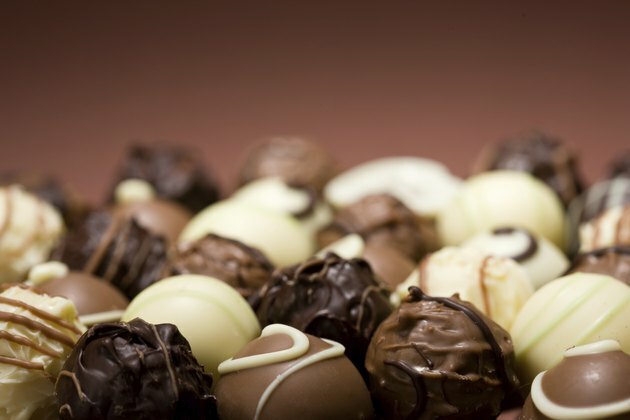 Chocolate has a rich flavor not only because of the fat it contains, but also from high sugar content. Each 1.55-ounce serving, or about one bar, contains 22.66 grams of sugar. Although sugar, as with other carbohydrates, can provide energy, it has several nutritional drawbacks. 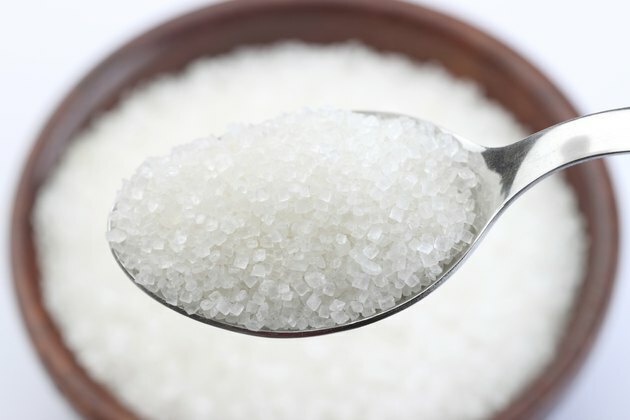 Sugar can promote tooth decay, and a diet high in sugar may increase your risk of heart disease. 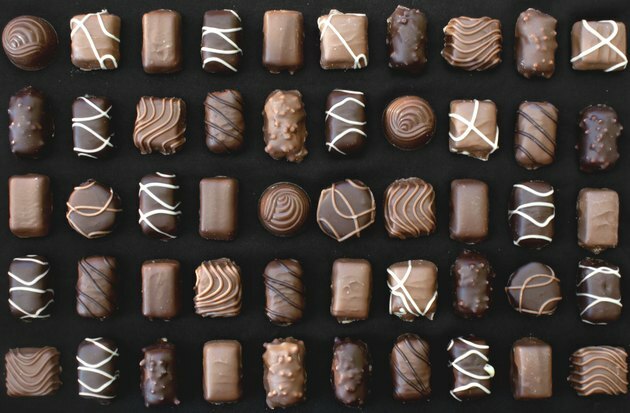 Dark chocolate also contains a lot of sugar, but less than milk chocolate. A 1.55-ounce serving of 70 percent dark chocolate delivers 10.54 grams of sugar -- less than half of what milk chocolate contains. Chocolate can have a detrimental effect on your health if you eat it instead of a healthier snack, because of its few beneficial nutrients. Chocolate is not a significant source of vitamins, and provides just 8 percent of the daily-suggested intake of calcium and 2 percent of the daily-suggested intake of iron.